The Central Bureau of Investigation (CBI) is in the midst of a major operation which is targeting hacking hubs across the country. It has allegedly that these groups have hacked into websites in United States of America in a bid to dupe people financially. The CBI has made one arrest so far and his questioning has led to more clues about these hacking hubs which are present in India. It appears to be a well established worldwide network, sources tell rediff.com and these hackers have duped innocent people of crores of rupees. It is a major syndicate with teams created in various countries. There are around 16 such hubs in India and their job is to hack into US websites create an identity theft and dupe people of their money, sources also pointed out. The agencies suspect that the hacking hubs have gathered over 260 million account debit and credit card numbers and the amount involved in this could well easily be over 600 million dollars. The first traces of such hacking hubs came out in the open for the first time in the year 2012. The Federal Bureau of Investigation had found that an underground hacking syndicate had duped over 9 lakh victims in the US by stealing out of their accounts which resulted in millions of dollars loss. There is a syndicate which deals with these hackers. The hackers work for sum of money and their job is to sell data to the syndicate which then steals money from an account by posing as the card holder which is known as identification theft. The market is a roaring one and several syndicates are present to buy such information for a major price. The hacker normally works independently. His job is to hack into the data base of the bank collect the debit/credit card numbers. In addition to this he also gets information about the date of birth, verified by visa details, cvv number and address. This helps the one creating the identity theft to answer all the security related questions perfectly and then effect a transaction. 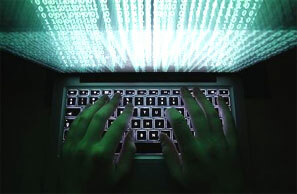 The FBI has also tipped off India about the hackers stealing online banking credentials of account holders. All credentials are picked up by the hacker and then a price is fixed before he sells that information. The hacker however never uses this information to draw out the money. The job of an identity theft is always with the syndicate as the hacker at the end of it does not want the risk and prefers to be anonymous. Following the Russian crackdown, the FBI has kept a tab on all underground hacking hubs across the world. They have tirelessly tracked these hackers with the help of the banks since the past year and made a data base of the same. They have found such syndicates in India and China which are posing a great deal of danger. Moreover it was also found that the hackers charge lesser in these parts of the world and hence the syndicates prefer them. In addition to this the syndicate also realises that it takes more time for the FBI to track hackers in far off places and hence the choice had to be India or China. It is a major racket and there is a long way to go. During the course of the investigation, the CBI is hopeful that it would stumble upon more such hubs in India while the other agencies such as the FBI are trying to find in which other parts of the world do such hubs operate. The first step is to nab the hacker and then investigate him as he could lead them up to the syndicate, sources also add. The syndicate is the most important part of the investigation as nabbing its members would help control this menace to a large extent. The money involved is massive and the syndicate is spread across the world. It is only these persons running the hacking hubs which could lead us up to them. It needs an international probe and cooperation by several agencies across the world. They have mostly targeted US sites and accounts only so far but if we do not act quickly this could spread to many more places in the world, sources also pointed out.